Pueblo’s industrial heritage, skilled workforce and diverse cluster of support businesses have led a new generation of world-class manufacturers, makers and creatives to call Pueblo home. PEDCO (Pueblo Economic Development Corp) has identified Hemp as one of its four target industries. Pueblo is well suited for Hemp related agriculture, research and product manufacturing. Hemp products include oil, textiles, clothing, paper, building materials, food additives and fuel. 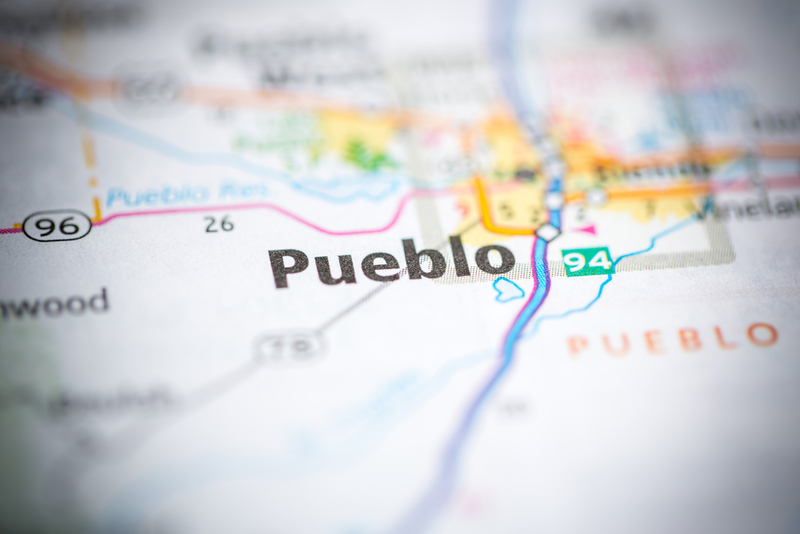 Pueblo, Colorado is strategically positioned to become a global thought leader in the evolving and ongoing dialogue on cannabis and its role in contemporary society today. Despite many federal hurdles along the road of discovery and experience, Colorado and its regional and local governments have been at the forefront of navigating the frontier of cannabis. An innovative partnership between state and county governments and Colorado State University-Pueblo has resulted in the nation’s first cannabis research center at a regional, comprehensive institution and the first-ever academically-based conference and research journal on cannabis. The Institute of Cannabis Research generates new knowledge of cannabis and its derivatives through research and education that improves lives and contributes to science, medicine and society. To conduct independent, objective and unbiased research across multiple disciplines. To promote responsible development of cannabis-related natural and derived substances. To advance understanding of the scientific, legal, and socio-economic impact of cannabis on society. To collaborate with the public and private sectors to address issues of public policy related to cannabis. In May, the Colorado Legislature granted CSU-Pueblo $900,000 (Senate Bill 191, signed June 6, 2016) in the coming year from the state’s marijuana tax cash fund and Pueblo County Board of County Commissioners voted to provide funding up to $270,000 to be used for a marijuana community impact studies and medical marijuana research. In 2015, Pueblo County voters chose to spend the Marijuana Excise Tax Revenue on 15 community improvement projects that included $220,000 for medical marijuana research and $50,000 for marijuana-related community impact studies at CSU-Pueblo. CSU-Pueblo President Lesley Di Mare said the primary function of the institute will be the generation of knowledge to science, medicine, and society through investigation of the benefits and risks associated with the use of cannabis. Research findings will be used to translate discoveries into innovative applications that improve lives. Di Mare said the Institute aligns with the University’s mission as a provider of education, research, and service to the region and will create new educational opportunities for CSU-Pueblo students. The Institute will comply with applicable Colorado and Federal laws in its work with cannabis. Di Mare said the research will be conducted in collaboration with three executive branch agencies: The Department of Public Health and Environment; the Division of Criminal Justice in the Department of Public Safety, and the Colorado Energy Office in the Governor’s Office. "We want to find out whether there are positive or negative impacts (of marijuana use) in terms of medical breakthroughs," Di Mare said. "We also want to understand what sort of economic and social impacts marijuana has on those communities where it is legal. Too much reliance has been placed on anecdotal information, and we hope to give back to our region and the nation with well-founded research." CSU-Pueblo Provost Rick Kreminski said the Institute will bring faculty together for a common goal as many of the studies will be multi-disciplinary and interdisciplinary. It also will bring to the University its first post-doctoral researchers, a boon for this regional, comprehensive institution, both to research and supervise student labs.